Earlier on in November, an employee was just starting her day at the Georgia Welcome Center, which was just located across the South Carolina border. 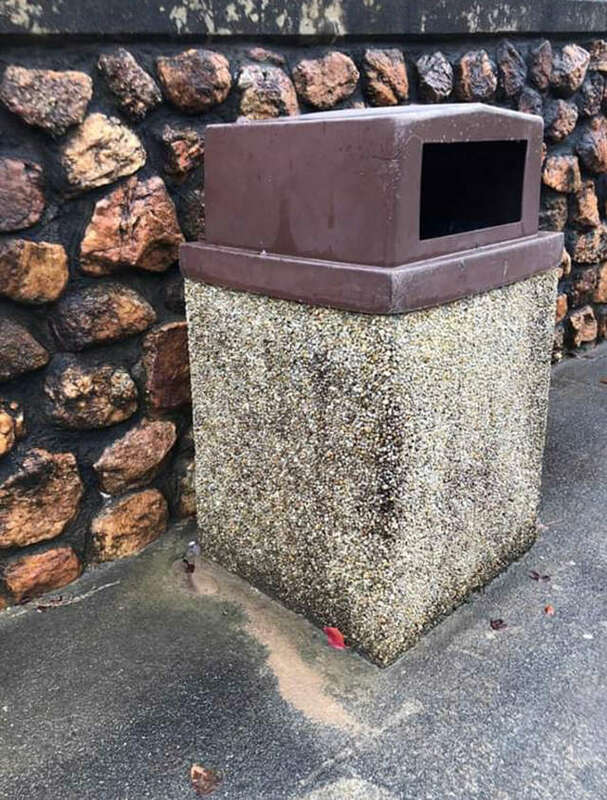 She soon noticed a lone garbage bag, which was left lying next to a trash can. Wanting to tidy up the area, the employee proceeded to bend down to put the bag back into the trash can, but soon stopped in her tracks when she heard a pained cry. 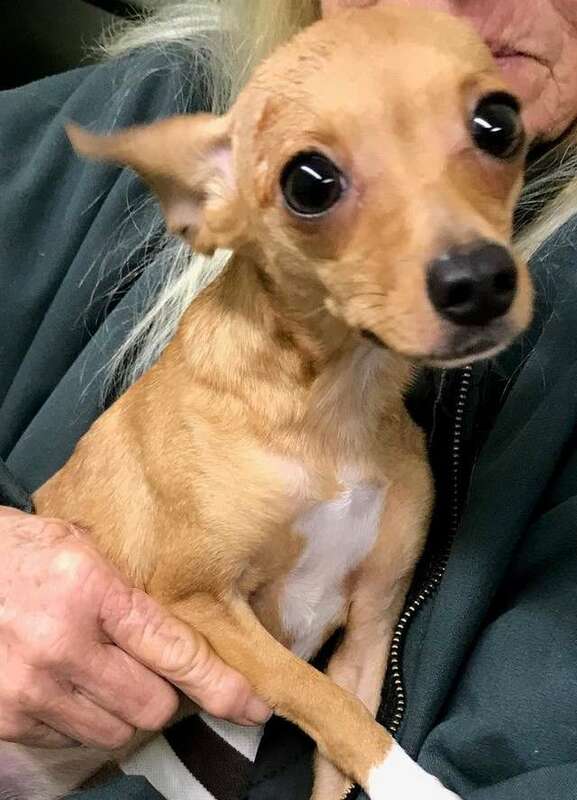 When she looked inside the trash can, she was shocked to find a scared Chihuahua staring back at her. 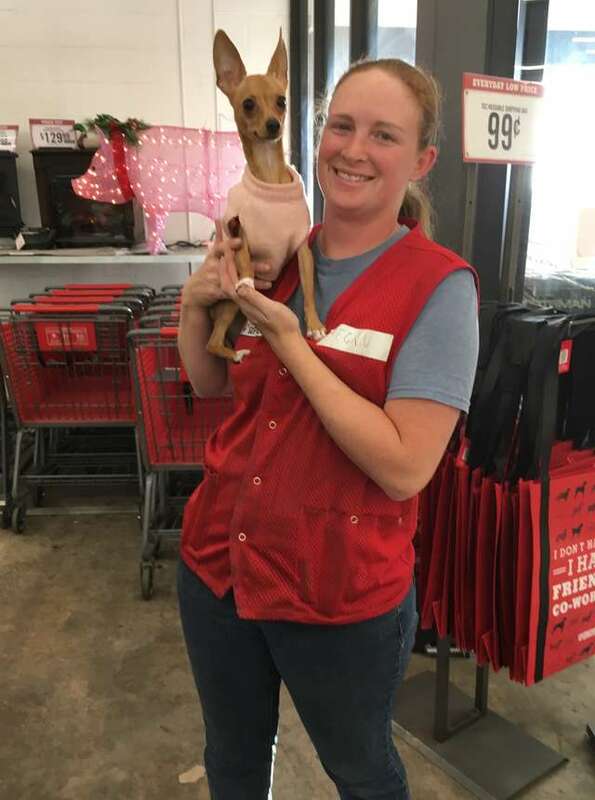 The employee quickly lifted the Chihuahua out of the trash can, but was unsure of what to do next. 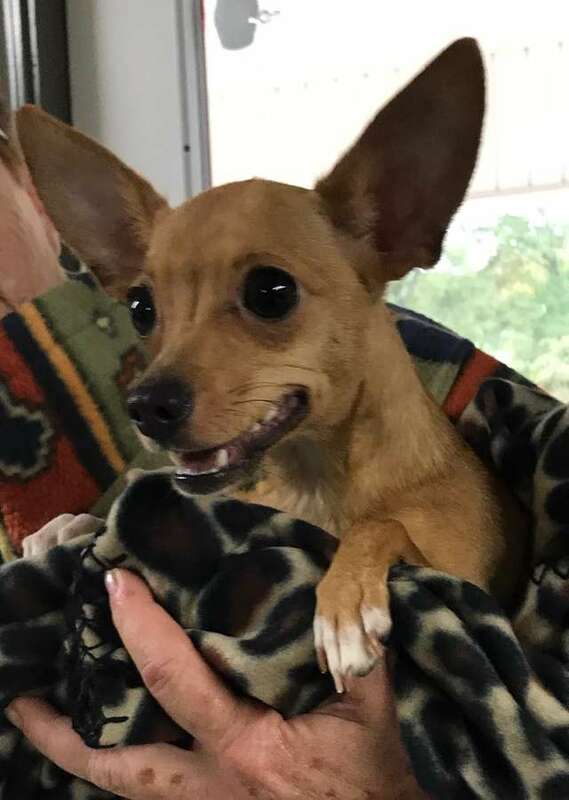 As she was also fearful that her supervisor would arrive any minute, she contacted a co-worker, who had previously volunteered with Hart County Animal Rescue for help. The dog, now named Carolina, was soon brought to the vet, and held overnight for observation. According to Judy Partain, the director of Hart County Animal Rescue, Carolina was “wet, cold, hungry and scared to death”. It had rained for a week in that area, so it was particularly cold. Unfortunately, Carolina was not micro-chipped and as there were no video cameras in that particular area, the rescue cannot track down her original owners find out on why she ended up in the first place. The next morning, Carolina was picked up by the rescue and brought to Partain’s home to recover. Since her arrival, Carolina has surprised everyone with her energy and playfulness. Carolina always eager to run and play with Partain’s 3 other foster dogs and snuggling with her foster family. Carolina’s touching story soon reached folks from all around the country. Within just a few days, the rescue has received numerous adoption applications for Carolina. Partain currently has at least 80 pending applications and more than 300 texts or calls. After Caroline has been spayed and her foster period is over, she will be ready to go to her forever home. The rescue not only hope that Carolina will find a loving home, but also hope that this might possibly encourage more people to adopt more other homeless dogs in need.